This can be a very very large topic or a short one depending on how in depth of a project you are getting into. What I hope to do here is help someone who wants to work on an Audi pick out the main items you need to get started. If your lucky enough to come across a site like this one you get a step by step through a lot of the basic mods you can do on your car. Of course even I have to have a reference to how to do these things. The best item you can start with is the Bentley manual. This is available more for the North American market but don't discount it. I found working with this manual it contains all the wiring and information for options contained in the ROW cars to. This makes it nice for people who like to retrofit options that aren't available in North America. For more information you can check out their website here. Your next option for a manual is a subscription to Erwin. Erwin is an online service from Audi to access online manuals and tech information for your car. You can choose subscriptions from a day to a year with different access levels. You can read more on their website here. So before I move on I'll address one more piece of software people have probably heard about ETKA. ETKA is the parts program that VAG uses to look up the parts for your car. It's not unusual to read in a forum about people referring to ETKA for parts information. This is not a publicly available program although there do seem to be places to get it. Do search for ETKA on ebay and see what pops up. ETOS is a similar program to ETKA which is designed for the aftermarket industry. Do a search on google for more information if required. So now that we have the software part out of the way lets look at hardware. Although most items such as socket set and wrenches are obvious this isn't a chevy and requires some specific items. 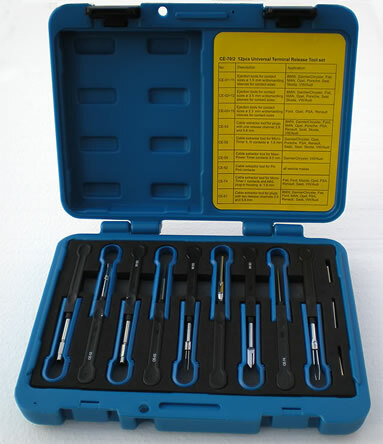 A good set of torx sockets and a selection of torx screwdrivers. I bought a set of screwdrivers that I leave in the car that run from size 10-30 and have covered pretty well everything I have done to date. The other thing you should find is a set of interior trim tools. 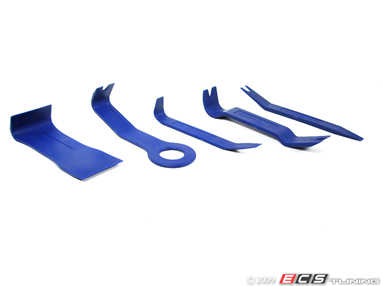 ECS Tuning sells a set that should do the trick for you if you can get them in stock. You can check out their site and the set here. Here is a set I bought off of eBay and my advice is to buy the ECS set instead. I may have gotten more tools but they are cheap and the edges are slowly breaking away. The ECS set looks to be of a much better construction and closer to the tools shown in the Audi manual. Here is a set of tools I bought for doing electrical work. You certainly don't require an entire set but I bought the set off of eBay for about the price of a single tool from some suppliers. They aren't of professional quality but they certainly will get you through my projects and have worked great so far. They allow me to remove wires from the factory plugs and fuse panels in a flash. Very handy for me as I have an entire spare A4 wire harness that I use for extra plugs and wires. I only use about 2-3 of the tools shown. 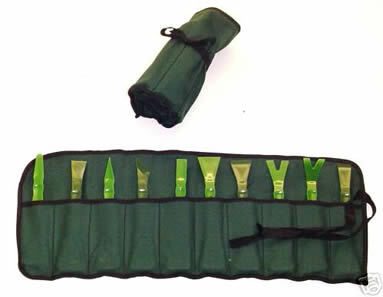 This kit is made to cover multiply makes and models. Remember, research and posting questions is always the best way to start a project. Shop for the best products and buy the best you can afford. It's always better to wait a little longer than rush a project. Some of my projects have taken up to a year to complete because I refuse to rush or throw something into the car. Stay away from things like test lights. They complete circuits and can often damage computers in modern cars. Keep a multi meter around and learn to use some basic functions. Nothing is more handy than the continuity test on a multimeter to determine if a line is good. As time permits or as I think of things I'll try and update the page. For now I hope this gets you started.